The first criminal trial of senior UK banking executives in the wake of the financial crisis began on Wednesday. The case against four former executives has been filed by the Serious Fraud Office over Barclays’ £11.8bn rescue. The bank avoided a UK bailout in 2008 by raising funds from Middle Eastern investors. 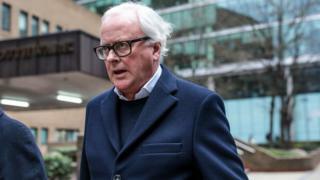 The defendants are John Varley, the bank’s former boss; investment banking executive Roger Jenkins; Thomas Kalaris, head of the bank’s wealth management business; and Richard Boath, former European Head of Financial Institutions Group at the lender’s investment bank. The trial is expected to last from four to six months. The four accused were all granted bail. While other, more junior bankers have been tried and even jailed in unrelated cases for their parts in the financial crisis of 2007-8, this is the first time criminal proceedings against senior executives have been brought. This case, like many before it, is being seen as a test for the office, which often brings the most complex cases of alleged white-collar crime. The trial of four former Barclays executives starting in January 2019 is a unique legal landmark. Bank chief executives have been prosecuted before, in Iceland and Ireland, but never in the United States or the United Kingdom. This is the only time in living memory that a chief executive of a global, UK-based bank has been criminally prosecuted. More importantly, it is the only time in the UK that any senior bank executive has been criminally prosecuted as a result of what happened during the 2008 financial crisis. Why are four former Barclays executives on trial? In December, a fraud case brought against two former Tesco bosses was dismissed as the case was thought to be too weak. And on Wednesday a third former director of the supermarket was also acquitted. In 2014, the SFO agreed to pay £6m of settlement and costs to property investor Vincent Tchenguiz after he was wrongfully arrested and his home was searched in 2011. The High Court was highly critical of the SFO’s conduct and quashed the search warrants. The SFO has brought in money for its efforts as well. In 2017, Rolls-Royce said it would pay £671m to settle corruption cases with UK and US authorities including £497m plus costs to the SFO, which conducted its biggest ever investigation into the firm. The firm apologised “unreservedly” for the cases spanning nearly 25 years.